How did your week and weekend go? I’ve been really busy so that I’m just getting around to catch up with my reading list. #blogpostsaturday becomes more and more a Sunday thing for me, but I sincerely hope that that’s ok with everyone. I published one post on Thursday, as always, and I’ve been busy on Instagram sharing pictures from Pittsburgh in 2014. It’s as much blog time as I can spare each week, I guess. 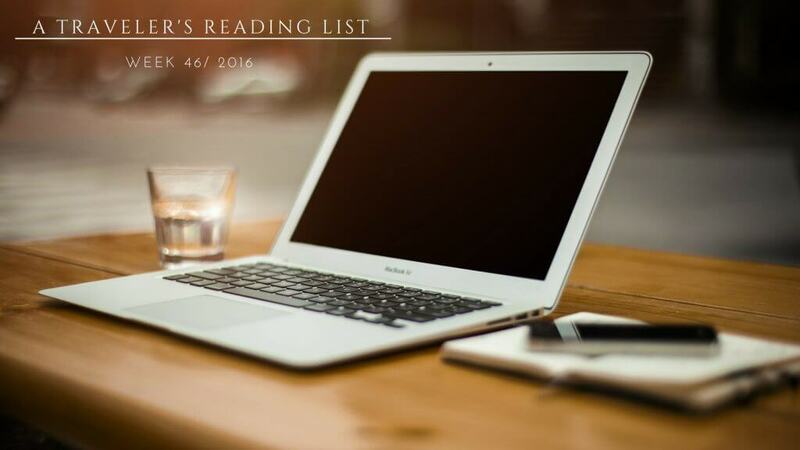 But let’s continue with what I started last week: A traveler’s reading list 46/2016! Although I’m not sure whether I want to make my blog a business or not, I was glad to find Madi’s post. I’d love to at least earn as much as I spend on my blog, so I’ll have to get to work on some points that she is talking about! I l loved Emily’s very honest post on why she and her fiancé stopped traveling half-way through their adventure year. I believe that it is so important to listen into oneself and evaluate what one wants from life. Shannon reviewed google trips, which I will have to see for myself, but it sounds quite good! Becca has been nominated for the Liebster Award (congrats!) and thus answered 10 questions about herself and her blog! A very funny and a bit sarcastic post came from Katie with “How to Save Money For Travel – The Tricks Nobody Will Tell You”. To read about a visit to Landsberg am Lech made me incredibly happy, because I keep telling people to go there. It’s such a cute little city! Meg writes about first week travel blues which I totally think is a thing, it is basically what I meant with homesickness in my post a few weeks ago. Ever heard of Boerum Hill?! I hadn’t which is why Victoria’s post cam just at the right time. Another post on visiting a city in Germany: Kristine went to Trier, and it looks like she and her boyfriend had a really good time! Ever since my trip to Thailand, I looove Thaifood (if it is not too spicy). See this post for five fav dishes to try! And this post will make you want to go to Bangkok! Which makes me want to agree with Bidisha who in her post names seven reasons to revisit places. Adventurous Kate (who I have been following for quite some time and admire A LOT) writes about The Conversation. I’m sure everyone has been there, probably with different topics. That’s that for this weekend! Leave me a comment if you liked my list or think that I need to read something special for next weeks list! This is such a great idea – to do a round-up of the posts that resonated most with you in the past week. I found a few posts here that I need to read – thank you! I really enjoy how you created this collection of posts, it’s a very cool idea! Thank you for sharing these because now I have some more reading material for my trip this week! But thank you and glad you enjoyed my post! I’ve read all the other posts now too so this really is a good little reading list!